There have been several updates concerning the MPSERS Blue Cross Blue Shield PPO plan. Each update or change is listed below. Please note that these changes and updates effect those members on the Blue Cross Blue Shield PPO plan only. Members who participate with the HMO plans are not impacted by these changes. The 2018 Verification of Coverage survey will be mailed to all retirees in May. Members must complete this form for themselves and anyone else covered by their retirement system health plan. They must respond to the survey, even if they don’t have other coverage. If they don’t respond to the survey, their retirement system medical plan and prescription drug coverage will be cancelled. The Verification of Coverage survey asks them to identify any other health coverage they or their dependents might have in addition to their retirement system coverage. The information is used to determine their eligibility in the retirement system’s health plan. Questions about the Verification of Coverage survey? Check out the Verification of Coverage Survey webcast at www.bcbsm.com/mpsers. You’ll find the webcast by clicking on the For Members tab, then clicking Webinars. 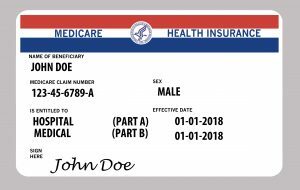 Medicare will be removing Social Security numbers from Medicare cards and issuing new cards to help guard against identity theft. New Medicare cards will show an 11-digit Medicare number that is unique to individuals. Medicare will mail new cards gradually between April 2018 and April 2019. Mailing everyone a new Medicare card will take some time. A member’s card may arrive at a different time than their friends and neighbors. Be sure to tell members go to www.ssa.gov to update their address on file with the Social Security Administration if they’ve recently moved. Individuals enrolled in Medicare Part A and Part B before April 2018 don’t need to take any action. Medicare will provide their new Medicare numbers to Blue Cross Blue Shield of Michigan, OptumRx and Office of Retirement Services (ORS). If members have a family member who becomes eligible for Medicare Part A and Part B after April 2018, ORS will mail them instructions on how to update their insurance enrollment with their new Medicare number. Tell ORS their family members’ Medicare numbers as soon as new Medicare cards are received. 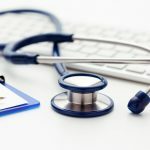 Once ORS receives the Medicare numbers, they will be sent to Blue Cross and OptumRx and their insurance rate will be adjusted as a result of their family members’ enrollment in the Medicare plan. Effective Jan. 1, 2018, Northwood, Inc. network providers will issue members’ durable medical equipment (DME) and J&B Medical Supply will issue members’ diabetic supplies. This change increases the number of in-network providers. If members have used other providers in the past, they’ll now want to choose a Northwood, Inc. or J&B Medical Supply network provider for medical equipment and diabetic supplies to reduce out-of-pocket costs. Here’s what they need to know about the 2018 DME and diabetic supply benefits. What is durable medical equipment (DME)? Special equipment, such as a wheelchair or oxygen tank, your doctor may order to maintain your quality of life when recovering from an operation or an illness. What are the out-of-pocket costs for DME and diabetic supplies? 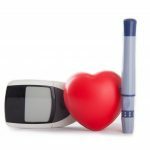 Diabetic supplies are covered at no cost to members when they use in-network or out-of-network providers. Select J&B Medical Supply as the in-network supplier to receive quality, cost-effective treatment through a convenient mail-order process. Injectable insulin, needles and syringes for injectable insulin are covered under the prescription drug plan. How do members get DME or diabetic supplies? Just like medication, the doctor will write a prescription for the equipment or supplies needed. Members can usually choose to rent or buy durable medical equipment. To keep costs to a minimum, have the prescription filled by a Northwood, Inc. or a J&B Medical Supply provider. How do members find a Northwood, Inc. provider? Visit www.bcbsm.com and select Find a Doctor. Click on Get Started. Enter username and password. If members haven’t registered, click Register for a new account and follow the instructions to create your account. Click on the arrow next to Your Plan. Select Employer Group Plans, then choose Medicare Plus Blue (PPO). Enter your desired location in Your Location. Type “Durable Medical Equipment” in the search box. Click Search to see a list of providers that match your criteria. How do members find a J&B Medical Supply provider? Call 1-888-896-6233 from 8 a.m. to 6 p.m. Eastern time, Monday through Friday or email info@jandbmedical.com. TTY users should call 1-868-520-9624. If members have questions about their DME or diabetic supplies benefits, they should call Blue Cross Customer Service at 1-800-422-9146, from 8:30 a.m. to 5 p.m. Eastern time, Monday through Friday. TTY users should call 711.